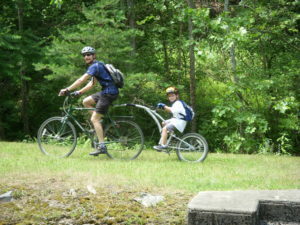 We are building a list of routes in the area for road rides, mountain bike rides, and casual rides. GPS and cue sheets available. Gritventure! : Saturday, April 20, 2019. This is a great gravel ride. Minimal SAG, but lunch waiting for you at the end. Details Here. Register Here. 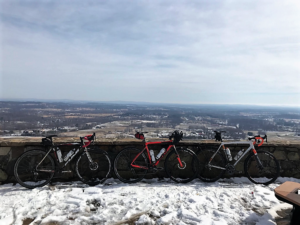 Triple Peak Gran Fondo: Saturday, June 8, 2019. Clear your schedule now, as you won’t want to miss the second annual edition of this epic ride! With 4 routes this year, from 28 miles to 108 miles, there is a ride for everyone! Space is limited, so register early. And don’t forget to pre-order a jersey to commemorate the ride. Details Here. Register Here. 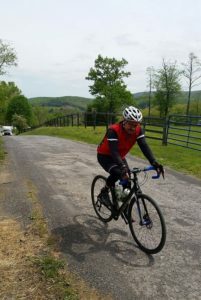 We will have two training rides, April 29 and May 19 at 1pm here at the shop. $10, no RSVP needed. Vineyard Tour: Sunday, July 14th. 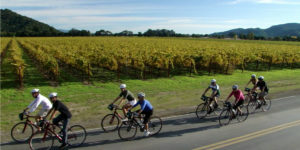 A 30 mile ride around the bucolic Winchester, with a wine tasting at Valerie Hills Vineyard. Details Here. Register Here. 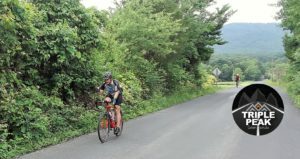 Dirt Farm Brewing Hill Climb: Saturday, July 20. An elimination event up a crazy steep driveway. 1/2 mile of fun pain! How many times can you do it? Details Here. Register Here. Gritventure! 2! : Saturday, August 17, 2019. Another fun gravel event! Details Here. Register Here.